A Jemadar in Queen Victoria's Own Corps of Guides Infantry (Frontier Force) (Lumsden's) who was born in the village of Chogawan, Moga, in East Punjab. He fought and died in Egypt on 14 August 1918 and was recommended for the Indian Order of Merit (IOM). His story is told by his grandson, Citizen Historian Kishen Singh Gill. Harnam Singh was born in the village of Chogawan in Moga, East Punjab. He was the son of Buda Singh. He joined the Queen Victoria’s Own Corps of Guides Infantry (F.F.) (Lumsdens) (but it is not known whether this was before or during the war). Harnam Singh was promoted to the junior rank of Jemadar on 13 February 1918 (see Indian Army List, July 1918, p 448). Enemy snipers very accurate, especially near Cochrane Castle. Jem[adar] Harnam Singh did a daylight reconnaissance in front of own wire and was badly wounded and died within 5 minutes. Har Gopal Singh and 1020 Sepoy Kartar Singh immediately went out to bring him in. Harnam Singh is remembered on the Port Tewfik Memorial in Heliopolis, Egypt. Harnam Singh’s family were granted 40 acres of land for his service during the Great War. The family decided not to accept the award because of his son’s active role in the independence movement against the British Empire. Kishan Singh Gill and his family have been very active in researching the life of their WW1 ancestor. An original letter sent to the family by the army (presumably informing them about Harnam Singh's death) and his medal were lost to floods in the 1950s. Thus, armed only with his name, the family used the Commonwealth War Graves Commission to locate an entry for 'Jemadar Harnam Singh, son of Buda Singh of Chogawan, Moga, Ferozepore, Punjab, served with the 1st battalion of Queen Victoria's own corps of guides infantry (F.F) (Lumsdens)'. 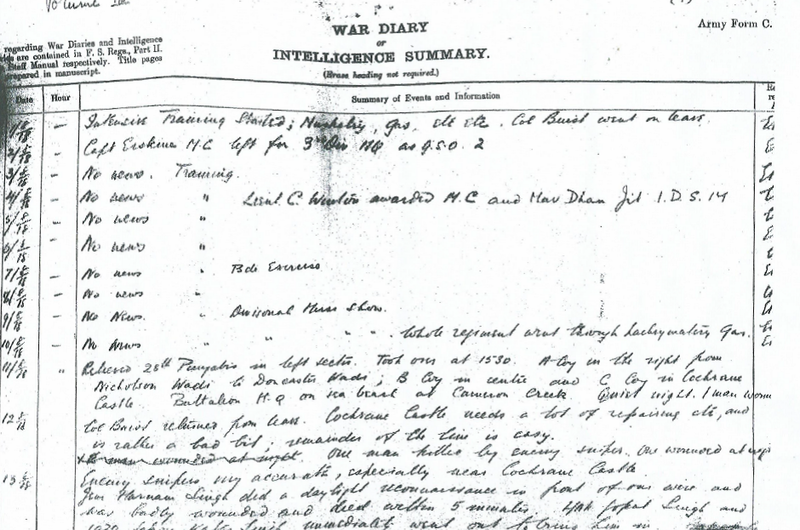 They next found the regimental war diaries at The National Archives. 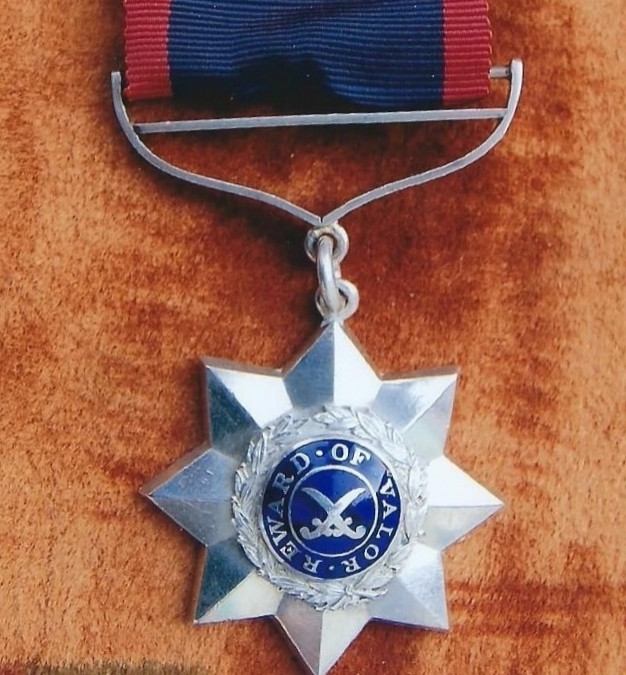 The Gill family contacted an authorised specialist medal maker who was able to construct the exact replica of the medal issued to their grandfather. As a fitting tribute, three generations of the Gill family travelled to the Port Tewfik Memorial in Heliopolis, Egypt, on August 14 2008, 90 years to the day that Harnam Singh died, to pay their respects. They were able to see his inscription for themselves (see image) and were finally able to close the missing chapter of their grandfather’s short but remarkable life.